Bobbie Quilty’s story is a story about the Great Irish Famine off 1845 and being descendants off folk who left Ireland from the Beautiful area of Shanagolden in Limerick. Bobbie returned to the area in 2016 a life time ambition. She had told my Ireland Heritage that “Even if I saw a house from really Far away I would be happy to know that this was our Family Home”. The My Ireland Family Heritage team set out to make Bobbie’s dreams a reality and after many months of research the Visit took place. Bobbie saw the Original Home with a Long Lost Cousin John Quilty a Cottage in his Back garden which once accomadated nine children living in this one roomed Cottage in the early 1900s. 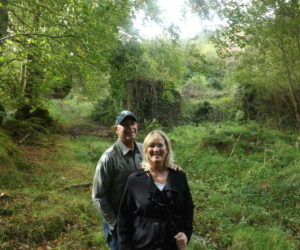 My Ireland Family Heritage was able to locate the exact home where Bobbie’s family lived in 1830 also and the Old walls still remained right in the middle of a Forest. 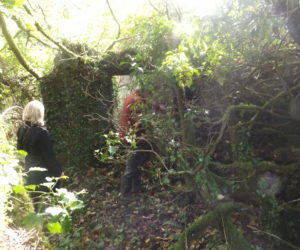 In many cases permission must be received from the owner of a Farm or Forest which houses such old ruins the My Ireland Team will always endeavour to make this dream a reality and ask on your behalf was granted. 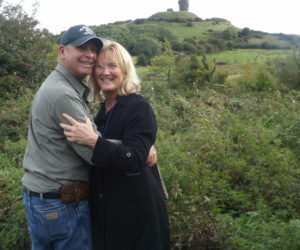 Bobbie and her husband also combined their Ancestral Townland tour with the Historical Meath and Dublin tour as they felt they really wanted to get a feel for a complete connection with Ireland See One Day Tours. 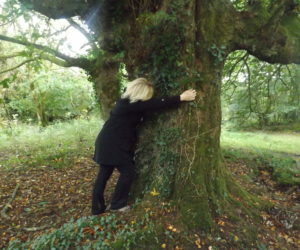 For more see Bobbie’s full Story on Trip Adviser.